This type of design was in vogue during the late 60's and early 70's. Seems to be back in fashion. Do take out the time to redraw the design. I have simply traced out the design not giving importance to perfection and symmetry. 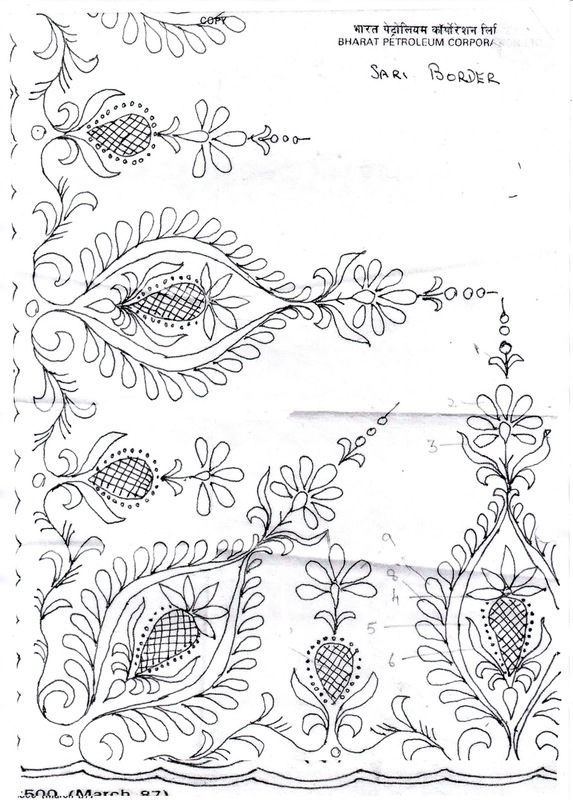 I was in my trace out as many designs as possible in a day phase when I traced this 22 yrs ago. In the second diagram, I have drawn a line in the center of the main design. Use this line to align your design. First draw the left hand side of the design. Then fold it along the line after darkening the lines of the design. Now, trace the right hand side of the design from the wrong side of the paper. You now have a perfectly symmetrical design. 1. 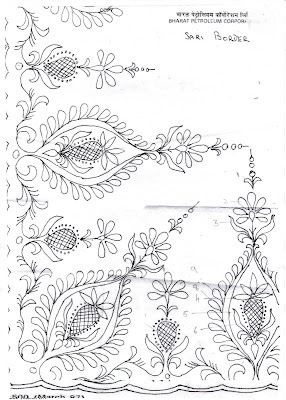 Saree border by altering/enlarging the design to suit a saree palu/border. 2. 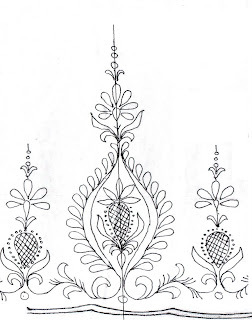 Corner design for cushion cover. 3. 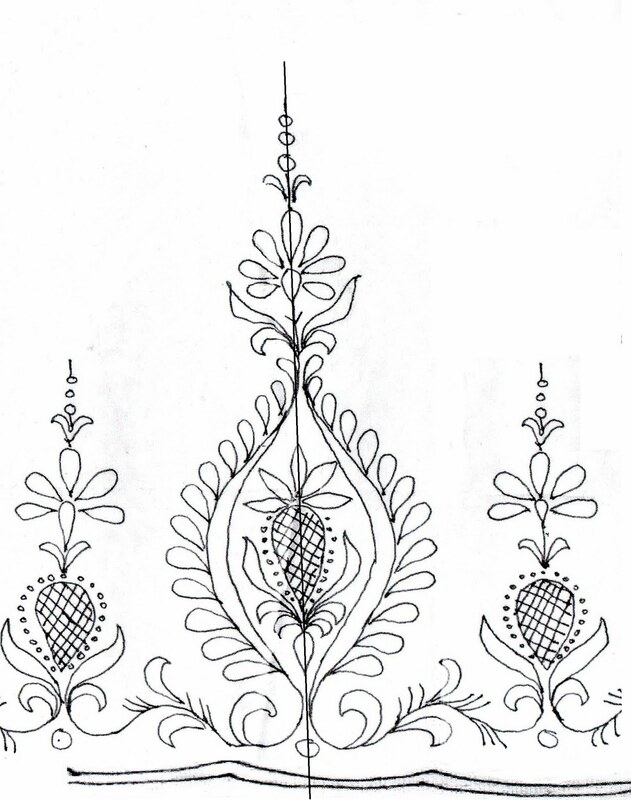 The second, will make a lovely design for a table runner worked up in satins and herring bones. Click on the design to enlarge and take a print out. You can use a grid to enlarge the design further to suit your requirements. Thank you so much. This is gorgeous.